Kids love dinosaurs! We mean they really love dinosaurs. Virtually every kid goes through a phase where they love learning about and playing with them. And there's one brand of dinosaurs that's among the most popular for 25 years—Jurassic Park and now Jurassic World. With the assortment of dinosaurs, lots of action and a classic storyline, kids can really imagine themselves playing with these prehistoric creatures. With so many different Jurassic Park dinos to choose from, how do you decide what's best for your kid? That's where TTPM can help. 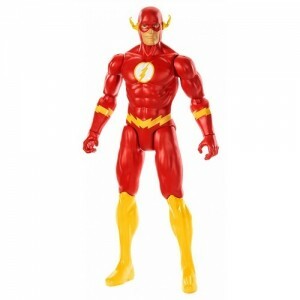 Whether you're looking for action figures or role play toys, we can help. Our video reviews show you the toys in action and out of the box, so you'll know what you're getting. Plus, we can showcase all the distinctive features that make Jurassic Park and Jurassic World toys unique and great choices for your dynamite dino fans. Let us help you find the best toys. And our price check shows you availability and the best deals. After all, you don't want to go chasing something that's extinct. You may think that all dinosaur toys are the same, but if you've got kids of different ages and interests, you're going to find some differences. Of course, all kids are different, so they'll relate to dinosaurs differently, but here are some guidelines when you're looking for dinosaur toys that may help you as you think about kids of different ages. One thing that's consistent about kids fascination with dinosaurs is the fact that they're extinct. So, kids can play with the idea of these terrifying monsters but without the fear that they'll ever encounter them in real life. That's one of the reasons that Jurassic World can be so scary for some kids because the movies seem so real. Kids like to play at being scared, and it's healthy because they vicariously learn how to deal with that emotion. But you'll want to make sure the toys you buy give kids a healthy play experience. Here are some of the different ways kids at different ages engage with dinosaur toys. Toddlers—Little ones like to play monsters. They love things that are bigger than they are, too. For this age, best choices are the dinosaurs that most appeal to the kids and role play toys. There are a lot of great new masks and claws and other types of accessories that allow kids to pretend to BE dinosaurs. This is great play because it allows them to feel powerful and funny at the same time. Kids Ages 4-6—At this age, kids are starting to really know the difference between the dinosaurs and may have their favorites. Kids this age are probably, for the most part, still too young to see the movies. Dinosaur play for kids at this age will largely center on collecting, and learning the names and various characteristics of dinosaurs—carnivores, herbivores, etc. Kids will love having a lot of different dinos and arranging them in different categories. Be prepared to be enlightened as your kids share what they're learning—or some cool stories. Even if they haven't seen the movies, make-believe play at this age will center around what they know of the stories of people interacting with dinosaurs. Kids Ages 6-8—At this point, kids will really revel in understanding the differences between all the dinosaurs. They'll know the names, be able to pronounce them and to remember and share information that they've learned about them. This is a great learning device and helps with basic intellectual activities such as categorizing and sorting. This is a good age to have lots of dinosaur figures. The Jurassic World dinosaurs are especially good for kids at this age because they have lots of action features and sounds that can really enhance the play. Kids at this age may be old enough to see the movie, so they'll also engage in fantasy play around the stories in the movies and may imagine themselves in Jurassic World. This is a great age for playsets and other toys that let kids replicate the ideas and characters in their play. Kids 8 and Up—These are real fans. They completely get that the Jurassic World story is fictional, but they still love the excitement and adventure. Kids at this age will still love the dinos, but they may want to display them as much as play with them. Many kids this age will be ready to see the new movie, and may have seen the other movies at home. Fans will be engaged in the concept, and will enjoy more elaborate toys such as the LEGO Jurassic World sets. Now that you know how different kids may relate to dinosaurs and dinosaur toys, it's time to start shopping. Scroll back up to the top and click on any of the toys on this page to see what they are and why they might be just the right choice for kids in your world.